Asian countries, especially South Korea and Japan have been setting many beauty and skincare trends in recent years. Some of the products from these countries have made it really big all over the world for their effectiveness and ease of use. You may have heard some of them before, but many are truly experimental in nature. For the adventurous soul, these beauty trends are worth a try and will definitely be interesting additions to your current skincare collection. These battery operated brushes are soft and can be used several times a week. They’re made of very fine, natural bristles that won’t hurt your skin in any way. This brush is meant to be used after face washing. It clears off any particles of dust, dirt and oil left on the pores. More importantly, the bristles remove any aged skin cells, thereby paving the way for the growth of new ones. This helps keep the skin youthful and prevent fine lines from forming prematurely. It has also been highly raved in many popular beauty blogs and forums. Sheet masks or face masks aren’t exclusively Asian, but they’re very much more varied in countries like South Korea. Asian face masks often incorporate local and heritage herbal ingredients that have long been used for skincare. These include infusions of Ginseng, Sakura flowers, spring waters, green tea and pearl powder. All of these are made into a serum that can be applied via a damp sheet mask, which can be left on for up to half an hour. The result is smooth, supple and thoroughly revived skin. Snail slime may sound utterly disgusting, but those who have been brave enough to try products with this natural ingredient swear by it. Snails leave a trail of sticky proteins known as Mucin. This ingredient is harvested and incorporated into anti-ageing creams, moisturizers, night creams, sunblock and even shampoos. Snail Mucin is rich in proteins that are essential for the formation of new skin cells. They provide the necessary ingredients for skin to remain plump and youthful. It’s especially effective when left on overnight, as it will result in soft and plump skin in the morning. 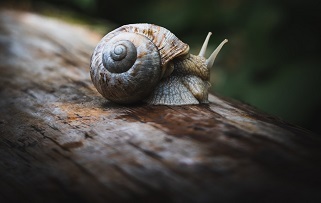 You can read more about the benefits of snail mucin here. BB creams originated in South Korea as part of a follow-up treatment after plastic surgery. Soon, however, the formula made its way to mainstream beauty counters and brands like Clinique, Bobbi Brown, L’Oreal and more have picked them up. BB stands for Blemish Balm. It’s a formulation that looks like foundation, but is lighter and much more moisturizing. 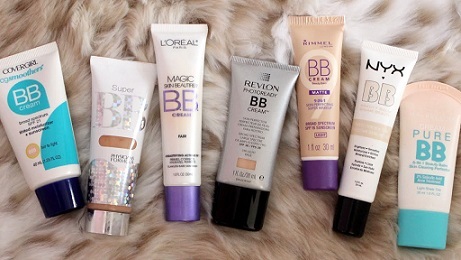 Many BB cream formulas also incorporate anti-ageing and sun block properties. CC creams, which stand for Color Correction creams have some extra ingredients that help reduce redness in skin that’s too warm and help reduce the paleness of skin that’s too pale in appearance. There’s even an amalgamation of both of these products, called DD cream. Cica balms are serums made with extracts of a herb that has been used for centuries as an antibacterial agent. This herb, known as Centella asiatica (also known as Tiger Grass) has been used in traditional Asian medicine to help the healing of wounds. In modern skincare use, it has been proven effective for acne control. 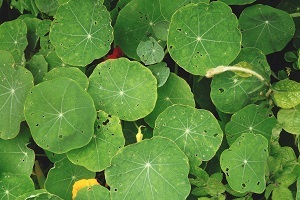 This is why extracts of the Centella plant has been incorporated into pimple creams, toners and face wash.
Apart from being effective on acne, Cica Balm also has moisturizing properties that promoted the production of collagen by the skin, leading to plumper, more radiant and youthful skin all around. Tone up creams are basically all-in-one products that help balance out the color of uneven skin tones and are popularly used as a make-up base in place of foundations. Although their name sounds like ‘toner’, they actually have nothing to do with the clarifying product. Instead, tone-up creams are used as a color correction product which can conceal things like eyebags, reddish patches and the like. They’re usually used in the morning as a quick fix before applying makeup. Additionally, there’s also a trend where women are using tone-up creams alone without any foundation and this gives them a natural ‘bare face’ look that’s popular among young Korean women. Face Mists are multifunctional face sprays that are usually packaged in small to medium spray bottles. They have a myriad of applications. 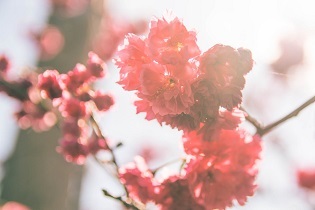 A small spritz of these mists can help you set your makeup, control oil buildup and keep your skin moisturized on particularly dry and blustery days. The main ingredient in these sprays is of course water. They’re often infused with nourishing vitamins and herbs, including Ginseng, Vitamin C and Aloe Vera. Many women pack these small bottles in their handbags so that they can refresh themselves during the long workday. 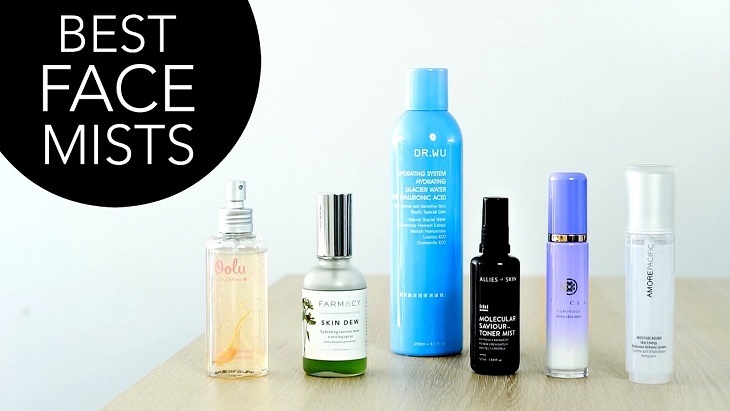 You don’t have to worry about your skin feeling clumpy and sticky, as these face mists evaporate really fast, leaving only a gentle moisturizing effect. If any of these have caught your eye and you haven’t tried them out (but want to), you can check out online beauty stores that carry many trending Asian skincare products such as Hermo and Althea. Sometimes these brands will promote exclusive Hermo coupons or Althea discount codes so that customers can enjoy bigger savings on their beauty hauls.